The common yearly project upon which most people embark is what's known as a "Project 365". If you're not familiar with the concept, the basic idea is that you do something every day of the year: take a photo, read a book (yes, I've heard of people trying this), and so forth. The other variant is "52": the same idea, but replace every day with every week. This is the project I will be undertaking for 2013; for 52 weeks, I will write at least one thing per week. I'm not concerned with the actual content of what I write (for instance, this totally counts), just that I write minimally once per week. I will hold myself accountable by just posting everything here. If it pertains to this blog it will be an article here; otherwise you'll get a link to the content. I realize that we're already 5 weeks into the year, which means I will need to catch up. So there should be at least 5 weeks with double posts. Theoretically. 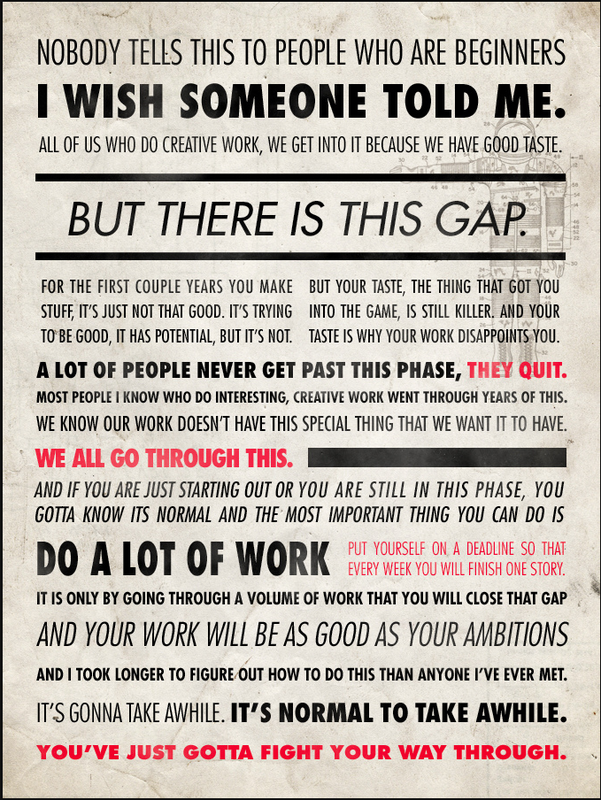 This project is inspired by The No Format Podcast and the great Ira Glass.